Alaska is an incredible US state that kind of feels like another country. People typically move there to get away from it all, or to enjoy the amazing nature that abounds there, completely untouched and free. Alaskans need strong homeowner’s insurance because they do have some truly extreme weather out there. What is the best Home Insurance Alaska? Well, it’s hard to say because only you know exactly what your homeowner’s insurance needs are in the state that is known as The Last Frontier. Get covered with any of these companies for affordable home insurance in Alaska. Allstate often tops the list of home insurance for any state. They are an all around solid company with a serious financial background, so if any natural disaster happens they are going to be able to pay out. They allow users to customize their policies which means that you can add extra coverage for specialty goods like electronic data or sports equipment that can be quite pricey. The also have a cool feature called Rate Guard which ensures that your rates will not go up even if you file a claim. The best part about Allstate is their library of amazing information that can benefit homeowners. It’s really a winner. State Farm is a company that provides homeowner’s insurance to a lot of people in the US, including in Alaska. They are the largest single insurer for Alaskan homes. They even include frozen pipes in their policy, an important addition for Alaska homeowners who experience freezing temps all the time. You can get this coverage for pretty much any kind of home like a condo or a standalone house. Add insurance for your home business, or even identity theft and digital information. It’s a great company with flexible benefits for these modern times. They also have a convenient app that allows you to make an online index of everything that you want to insure in your home. Country Financial is a home insurance company that offers three different tiers for coverage. Which one is right for you? They start off with basic coverage that has things like frozen pipes, fire and lightning and vandalism included in it. The next level up is all that plus some extra accident protection. Then there is combination coverage which covers your belongings in your home as well as your home itself. So, they offer flexibility and have a wide variety of solutions that could fit anyone’s needs. They also offer liability coverage just in case someone gets hurt on your property, which is quite nice because you never know when someone might trip and fall and hold you liable. Overall, Alaska is a bit cheaper than other states for insurance. The residents enjoy rates that are about $100 less than the national average. This is quite interesting because there are so many different types of natural disasters that might occur at any time - landslides, fire, blizzards, wild animals that love to break into your home and wreak havoc. However, residents should make sure to get a plan that offers them all of the coverage that they want. People in Alaska often have lots of property with many outbuildings, and you need to make sure that all of them are covered in the event that something happens. Alaska has just about one person per square mile, so that means that residents need peace and security. Having the right home insurance Alaska plan will make you feel good, and help you to sleep better at night! Feel secure in the last frontier by getting a homeowner’s plan that will cover you completely and get you the coverage that you need for as much land as you have. Property insurance can cover expensive purchases like snowmobiles and other tools that are unique to the Alaskan frontier. Make sure to take a home inventory to get the most out of your plan and have everything you own covered. 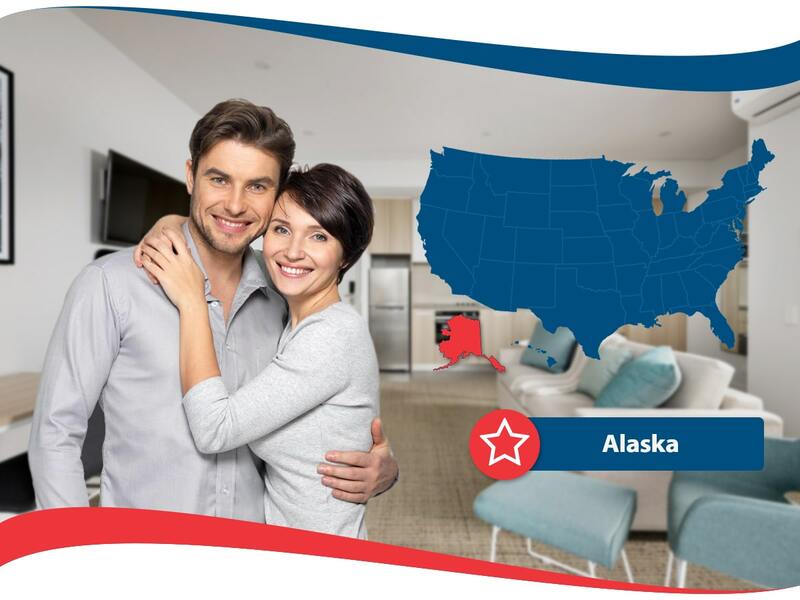 Find out what Alaskan home insurance has in store for you.